Our group places a high value on collaboration, both within our group, our school, and in the broader community. By learning and challenging one another we build a deeper understanding of the Earth around us, and a more respectful workplace that is inclusive for all. We are excited by colleagues who can work independently and yet know when to ask for help; who have a good sense of humor; who possess a healthy dose of passion for what they are doing; who have creative ways of figuring out problems; and of course like to work hard (and cold beer). The Jackson School of Geosciences comprises three different research units composed of several hundred scientists. We get hundreds of graduate student applicants each year. Thus, in order for me to find you in the stack of applicants, it is helpful for you to write me inquiring of any possible graduate opportunities. Further, this begins a dialogue between us that gives me a sense of how we might work together. Field opportunities may be available but are not a consistent part of everyone’s research. There are many exciting things are being done using the wealth of available remote sensing data and new modeling techniques, and these skills would prepare you better for the modern job market. The primary qualities I look for in graduate students is the ability to think independently, enthusiasm, drive for research, easy-going nature, and strong quantitative and/or computational skills. You don’t necessarily have to have these skills already, but a desire to learn them will be rewarded over your lifetime. I also look for a strong match between my research interests and those of any prospective student. You should therefore have thought a bit about why you want to pursue a PhD in glaciology. Particularly, when the field is not necessarily hiring at the pace of graduation rates. Specifically, I would like to know what aspects of glaciology are most exciting to you. 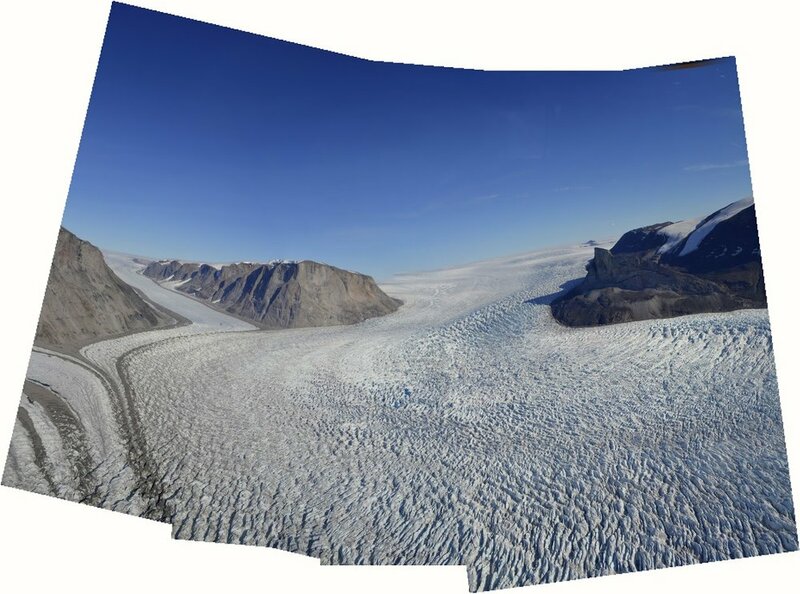 What do you think is the most relevant research currently in glaciology? The first critical step is to develop a project that really excites both of us. I also want to know your career goals and what skills you would like to develop while in graduate school. By providing me a sense of where you want to eventually be, we can collaboratively develop your skill set and expertise to meet that goal. I have prepared a document that outlines my expectations for graduate students under my supervision. While your academic pedigree and GPA/GRE scores matter, they are considered less than the types of courses you have had. That said, there are still graduate program requirements for all student admissions. So please send a transcript (unofficial is fine) so that we can rule out any possible problems. I look for someone who desires to have a rigorous, quantitative understanding of earth sciences and prefer more math, physics and computer science than general education courses. It is also preferred that you have some research experience so that you are more adequately prepared for the shift from a course-centric undergrad career to a research-centric graduate career. If you can, please send any research papers you have written (e.g. class research projects, published papers).